Vesicles are widely investigated as carrier systems for active pharmaceutical ingredients (APIs). For topical delivery, they are especially effective since they create a “depot-effect” thereby concentrating the APIs in the skin. 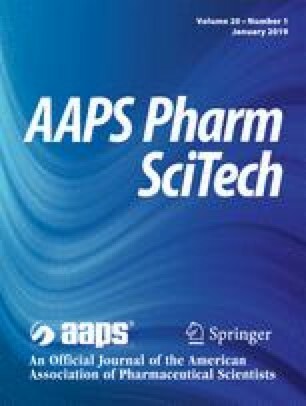 Artemisone, clofazimine and decoquinate were selected as a combination therapy for the topical treatment of cutaneous tuberculosis. Delivering APIs into the skin presents various challenges. However, utilising niosomes, liposomes and transferosomes as carrier systems may circumvent these challenges. Vesicles containing 1% of each of the three selected APIs were prepared using the thin-film hydration method. Isothermal calorimetry, differential scanning calorimetry and hot-stage microscopy indicated no to minimal incompatibility between the APIs and the vesicle components. Encapsulation efficiency was higher than 85% for all vesicle dispersions. Vesicle stability decreased and size increased with an increase in API concentration; and ultimately, niosomes were found the least stable of the different vesicle types. Skin diffusion studies were subsequently conducted for 12 h on black human female skin utilising vertical Franz diffusion cells. Transferosomes and niosomes delivered the highest average concentrations of clofazimine and decoquinate into the skin, whereas artemisone was not detected and no APIs were present in the receptor phase. Finally, efficacy against tuberculosis was tested against the Mycobacterium tuberculosis H37Rv laboratory strain. All the dispersions depicted some activity, surprisingly even the blank vesicles portrayed activity. However, the highest percentage inhibition (52%) against TB was obtained with niosomes containing 1% clofazimine. The authors would like to thank the South African Medical Research Council for the support under the Flagship Project MALTB Redox, the Centre of Excellence for Pharmaceutical Sciences, Faculty of Health Sciences, North-West University, South Africa and the National Research Foundation of South-Africa for their financial contribution to this project (grant number CPRR13091742482). Any opinion, findings and conclusions or recommendations expressed in this material are those of the authors and therefore the NRF does not accept any liability in regard thereto. Kgosana R TB remains the no 1 killer in South Africa. 2018. https://citizen.co.za/news/south-africa/1870743/tb-remains-the-no-1-killer-in-south-africa/. Accessed 1 May 2018. TBFacts.org. 2018. https://www.tbfacts.org/tb-statistics-south-africa/ Accessed 22 April 2018.
WHO Global Tuberculosis Report 2018. 2018. http://www.who.int/tb/publications/global_report/en/. Accessed 25 April 2018.
WHO. Global tuberculosis report 2017 factsheet. 2017. http://www.who.int/tb/publicationsC2_2017GLOBAL_FACTSHEET.pdf?ua=1. Accessed 22 April 2018.
WHO. 2016. The end TB strategy. http://www.who.int/tb/post2015_TBstrategy.pdf?ua=1. Accessed 22 April 2018. Blomberg B, Spinaci B, Fourie R, Laing R. The rationale for recommending fixed-dose combination tablets for treatment of tuberculosis, bulletin. 2001. http://www.ncbi.nirm.nih.gov/pubmed/11217670. Accessed 25 April 2018. Coertzen D, Readera J, van der Watt M, Nondaba SH, Gibhard L, Wiesner L, et al. Artemisone and artemiside—potent pan-reactive antimalarial agents that also synergize redox imbalance in P. falciparum transmissible gametocyte stages. Antimicrob Agents Chemother. 2018. https://doi.org/10.1128/AAC.02214-17. World Health Organisation (WHO) Facts on ACTs (Artemisinin-based combination therapies). 2006. http://www.who.int/malaria . Accessed 25 November 2017. USP Pharmacopoeia online. 2015. http://www.uspbpep.com/usp29/v29240/usp29nf245O_m22310.html. Accessed 8 January 2016. Chembase. 2015. http://en.chembase.cn/molecule-157442.html. Accessed 11 May 2017. Lim JA, Tan WC, Khor BT, Chand SDHG, Palanivelu T. Early onset of squamous cell carcinoma arising from tuberculosis verrucosa cutis. J Am Col Clin Wound Spec. 2018. https://doi.org/10.1016/j.jccw.2018.06.003. DT: Dispersion technology Inc. Zeta potential, Short tutorial. 2013. http://www.dispersion.com/zeta-potential-short-tutorial. Accessed 17 May 2016. Yukuyama MN, Ghisleni DDM, Pinto TJA, Bou-Chacra NA. Nanoemulsion: process selection and application in cosmetics—a review. Int J Cosmet Sci. 2015. https://doi.org/10.1111/ics.12260 n/a–n/a. Colloidal Dynamics: Leaders in colloidal measurement. Electroaccoustics tutorials: The zeta potential 1999. http://www.colloidal-dynamics.com/docs/CDElTut1.pdf. Accessed 21 September 2018. Malvern Instruments Ltd. An introduction to zeta-potential. 2017. https://www2.warwick.ac.uk/fac/cross_fac/sciencecity/programmes/internal/themes/am2/booking/particlesize/mrk654-01_an_introduction_to_zeta_potential_v3.pdf. Accessed 23 May 2017. Acton A Tuberculosis: new insights for the healthcare professional. 2011 ed. 2012. https://books.google.co.za/books?id=Hjllcl5deFUC&pg=PT115&lpg=PT115&dq=phosphatidylcholine+against+tuberculosis&source=bl&ots=0JoLR8YpCS&sig=OzipfIV7NY4ch0WKTsMs4f8MTeQ&hl=en&sa=X&ved=0ahUKEwiymNK9h4bWAhUDD8AKHVIiDO8Q6AEISjAE#v=onepage&q=phosphatidylcholine%20against%20tuberculosis&f=false. Accessed 2 Sept 2017.